As the United States takes part in a modern day ‘Catch Me if you Can’ or Where Waldo Edward Snowden, if you will, some rather damning news is reported regarding NSA leaker Snowden. As the media attempted to follow Snowden unsuccessfully some rather disturbing news came out with regards to his reasons why Snowden took employment with Booz Allen. According to the South China Morning Post, Edward Snowden sought the Booz Allen job to gather evidence on NSA surveillance. I guess we can add intent to Snowden’s actions. We do not know where Snowden will wind up, but it appears we now have some insight as to why he took a position that paid less at Booz Allen. Of course taking such a position for less money should have raised a red flag. But as Weasel Zippers states, who was he a mole for? Presently Snowden is in Russia, or is he? The Guardian is reporting that Snowden never crossed border into Russia. Edward Snowden secured a job with a US government contractor for one reason alone – to obtain evidence of Washington’s cyberspying networks, the South China Morning Post can reveal. For the first time, Snowden has admitted he sought a position at Booz Allen Hamilton so he could collect proof about the US National Security Agency’s secret surveillance programmes ahead of planned leaks to the media. NSA Leaker Edward Snowden to Leaves Hong Kong for Moscow, Russia … Bound for Venezuela via Moscow and Cuba? Iceland? Ecuador? It appears that Hong Kong thought little of the United States formal request for the extradition of Edward Snowden. Edward Snowden, the NSA whistleblower, is reported by the Guardian to have left Hong Kong and is on his way to Moscow Russia. According to accounts, Snowden has left on Aeroflot flight to Moscow along with representatives of WikiLeaks. According to the AP, the Hong Kong government said in a statement that Snowden left “on his own accord for a third country through a lawful and normal channel.” Talk about having little respect for the United States. Hong Kong just thumbed their nose at the US request for extradition. The NSA whistleblower Edward Snowden has flown out of Hong Kong, where he had been in hiding since identifying himself as the source of revelations on US surveillance programs, despite a US request for his arrest. The 30-year-old had previously said he would stay in the city and fight for his freedom in the courts. But the Hong Kong government confirmed that he left on Sunday, two days after the US announced it had charged him with espionage, saying documents filed by the US did not fully comply with legal requirements. It also said it was requesting clarification from Washington on Snowden’s claims that the US had hacked targets in the territory. The South China Morning Post is reporting that Snowden is bound for Venezuela via Moscow and Cuba. The Hong Kong government said in a statement that Snowden had departed “on his own accord for a third country through a lawful and normal channel”. The 30-year-old left from Chep Lap Kok airport on a flight scheduled for 10.55am. He is believed to have boarded Aeroflot Flight SU213, which landed at Moscow’s Sheremetyevo International Airport at 5.03pm local time, according to the airport’s website. Wikileaks statement: Wikileaks is claiming that it has assisted Snowden in securing political asylum. Mr Edward Snowden, the American whistleblower who exposed evidence of a global surveillance regime conducted by US and UK intelligence agencies, has left Hong Kong legally. He is bound for a democratic nation via a safe route for the purposes of asylum, and is being escorted by diplomats and legal advisors from WikiLeaks. Mr Snowden requested that WikiLeaks use its legal expertise and experience to secure his safety. 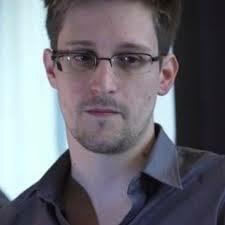 Once Mr Snowden arrives at his final destination his request will be formally processed. UPDATE I: As reported at CNN, Edward Snowden has landed in Moscow. The global cat-and-mouse hunt for Edward Snowden took a dramatic turn Sunday when the man wanted on U.S. espionage charges fled Hong Kong and reportedly arrived in Russia. WikiLeaks said in a Twitter post Sunday that Snowden had touched down in Moscow. But the organization, which facilitates the publication of classified information, did not disclose what country would be his final destination.